Home » Latest Blog Posts » Sales or Customer Success? 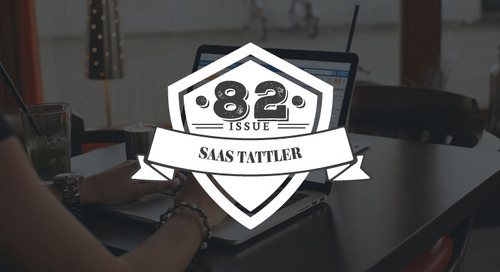 SaaS Tattler Issue 81 - Sales or Customer Success? It's an uphill battle for a CSM when the customer-facing teams are misaligned. 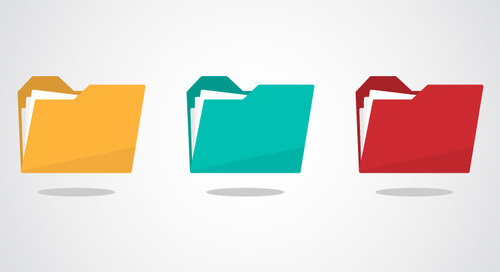 It's a concept that Ed Powers commonly refers to as Organizational Silo-ism. Which is the friction between departments, specifically within growing companies. To help break down silos, we've decided to dedicate this issue of the SaaS Tattler to aligning the key customer-facing teams within your organization. Do great things really come in threes? They do when it comes to building lasting relationships with your customer. Karrie Sundbom tackles the issue of “One and Done” Customer Lifecycle Marketing and how that’s a missed opportunity to create brand advocates. In this article, Karrie discusses the how aligning your Sales, Marketing, and Customer Success Team is the winning trio for Customer Success. "If your marketing efforts stop the minute the deal is sealed, you’re missing a huge opportunity to turn your buyers into shout-your-praises-from-the-rooftops advocates ... These inspired, loyal advocates will share the love of your brand with their circles of influence, engaging and exciting future customers on your behalf." Everybody wins when the key functions within your organization are aligned. Jeremie Bacon states that “Every person in the company should feel responsible for, and share in, the ownership of customer relationships”. In this article, Jeremie further explains why getting the sales, marketing, and customer success teams aligned should be an important focus of your company. "When cross-functional teams are aligned, clear but flexible boundaries exist between them. Sales, marketing, and customer success engage with each other in joint planning and training activities. The teams begin to speak the same language, share the same objectives, and pursue the same goals." Why Should Sales Care About Customer Success? Among the many great insights you can find in this article, the key takeaway is that Customer Success = Sales Enablement. Andrew Rhodes explains why Customer Success is one of the best investments you can make for sales and why he believes Sales and Customer Success cannot exist without each other. "Customer Success is poised at the nexus between new customers and future revenue, and your company’s fate is inextricably tied to Sales’ ability to leverage that wisdom. Make the most of it, and your business will thrive." Intercom is a customer communication platform with a suite of integrated products for every team—including sales, marketing, product, and support. KiteDesk is everywhere your prospecting needs take you–including a Web App, Chrome Extension, and Social Media Search Toolbar that all work cohesively across the Web. Projector is a platform that helps developers and product teams expand their product experiences outside the confines of their app. MedPilot is a tool designed to make healthcare billings & collections departments more effective and efficient. The BannerFlow Platform allows businesses to create and manage large volumes of interactive ads in a very short time and without any coding skills. OutboundEngine is a hands-free way for independent professionals to market and grow their business through content, email, and social media. Price Intelligently provides SaaS pricing strategy expertise through our unique combination of data and industry experience. Inbenta is a cloud-based, AI-Powered Intelligent Search for Customer Support and E-Commerce offering intuitive search solutions for companies large and small. GaggleAMP empowers a company's stakeholders (both internal and external - employees, customers, constituents etc.) to promote synchronized messages across social media platforms like Twitter, Facebook, and LinkedIn.